Since the Service Module was a dead weight venting oxygen, why did they wait until just before reentry to jettison it? Good question…. Maybe not all of the service module was useless? For instance, the location of the high gain antenna? The main reason they kept the SM was to protect the heat shield on the CM. The thought was it could be hit with debris or be degraded by heat or sunlight. They didn’t want to take any extra chances. I STILL like that little black dress! 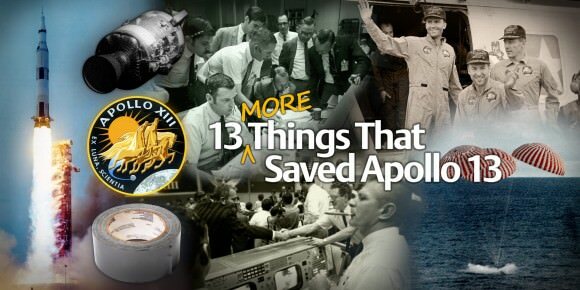 We are always hearing how Neil Armstrong was such a great pilot when he made that safe landing at Tranquility base with SECONDS of fuel to spare, but we don’t often hear about Jim Lovell’s amazing piloting on the Apollo 13 mission. Whereas Neil’s last second decision made a safe landing… Jim Lovell’s piloting that crippled command module lasted a whole lot longer AND had so many more variables. The stress levels must have been off the charts! We all know how stress levels can interfere with executive brain function, unless of course, you are totally calm, cool and collected. Let’s talk legendary calm, cool and collected here. Thank you Mr. Lovell for being who you are! Apollo 11 was not seconds but 25 seconds of fuel left. Also the ascent module could abort and eject the descent module when flying so they would not have crashed. Also when Neil took over, the computer was still controlling the lunar lander. It is just a setting that gave a bit more control to the astronaut like you change you Eco, Normal to sports mode in your automatic car. 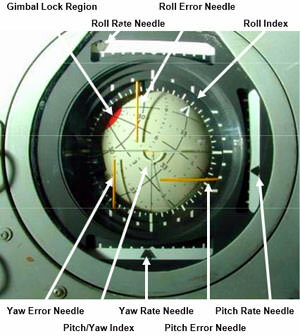 The LM Guidance computer was already programmed to control the LM pushing the CSM. This was an anticipated, but unlikely, mode. The joint between the LM and the CSM was slightly flexible making the stack tricky to handle. The LM’s descent rocket could be throttled with a minimum value of 10% allowing the thrust to be pointed at the combined CG. Once the LM’s computer was shut down, the astronauts were on their own, balancing the stack by feel and using the view out the window. Ron Howard asked the audience members at the premier to write reviews of the film. One review went on to state that there is no way the crew would have survived the mission. Hah. Nailed it, in a backwards-sort of way. Previous PostPrevious Am I Being Watched From Space?